Entrepreneurs can learn how to apply the Lean Start-Up model to the commercial innovation process during a workshop sponsored by the Wyoming Entrepreneur Small Business Development Center (SBDC). “Lean Start-Up Strategies for Your Business” is scheduled Wednesday, Sept. 28, 8:30 a.m.-2:30 p.m., in the Wyoming Technology Business Center conference room, 1938 Harney St., in Laramie. This workshop is for entrepreneurs or product developers interested in increasing their chances of commercializing an innovation. 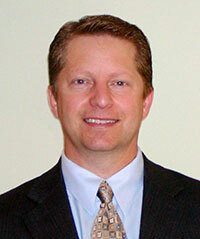 Jeff Carpenter, principal of Bird Dog Innovation Strategies, will present the workshop. Carpenter’s experience includes market and competitive analysis, strategic patenting, partner identification and due diligence, patent valuation and license negotiations. Bird Dog Innovation Strategies specializes in technology commercialization opportunity assessment, tech scouting and strategic partnering. Entrepreneurs who want to further discuss using Lean Start-Up methods in their particular business also can schedule a personal consultation with Carpenter. These meetings will take place Thursday, Sept. 29. To arrange a time slot, email wsbdc@uwyo.edu. Due to funding from the Federal and State Technology Partnership Program, the program is free of charge. A box lunch will be provided. To register, go to www.wyomingsbdc.org. Reasonable accommodations for persons with disabilities will be made if requested at least two weeks in advance. For more information, call the SBDC at (307) 382-0947.